1.) Gold Dot's New Collection, MARINE! GOLD DOT's latest collection. It's our Marine Collection and we've already released 3 marine-inspired heels. The Fynn Platforms (inspired by algae ) , The freya Boots (with its octopus-like straps and seagreen color) , and the Fran Wedges(aquarium like body). My personal fave is fran because it gives an illusion that your feet are floating when worn. There are walls around the base which partly covers the feet and slim straps that holds them. 2.) 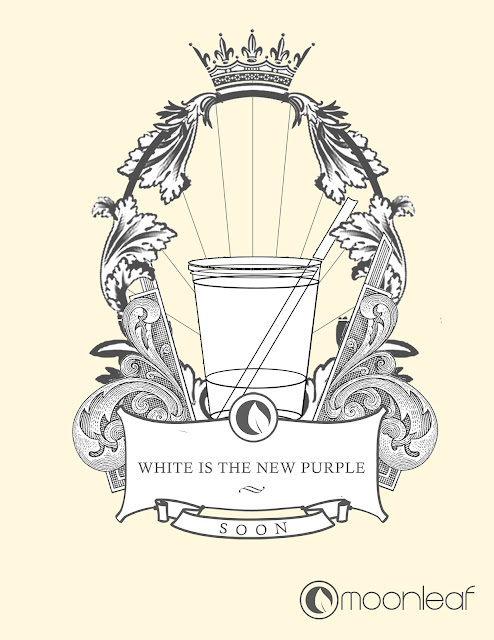 Moonleaf Photo COntest: White is the New Purple! - Post a photo or blog and tag #Moonleaf! 3. Five (5) entries with the highest number of likes will win from each platform, and five (5) entries chosen by the Moonleaf team will win from each platform as well. Ten (10) entries will win per platform, with a total of 30 entries will win from this contest. 4. 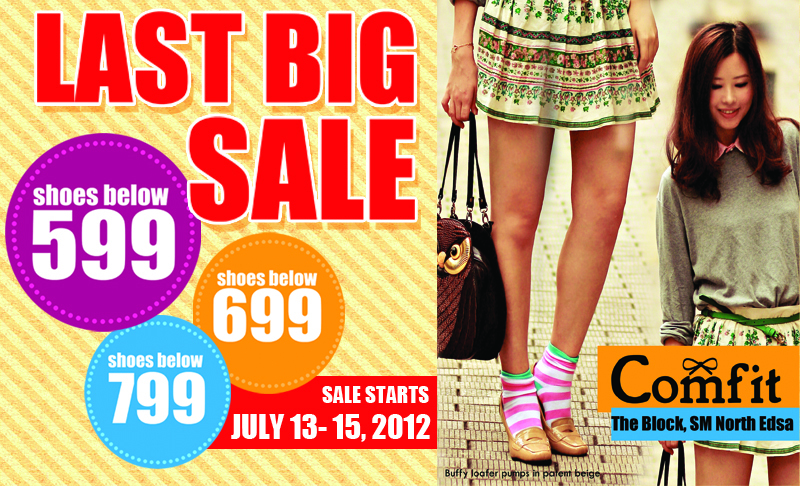 Winners shall be announced on July 20 (next Friday) and notified through Facebook, Twitter, and Tumblr. Winners get to first experience their NEW FLAVOR for FREE! 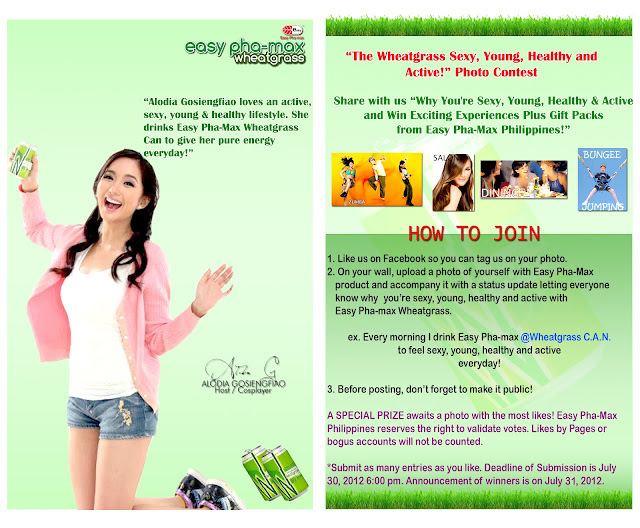 Check out http://www.facebook.com/EPPIwheatgrass for more! FAB NEWS!!! Online shopping has met its virtual styling match! 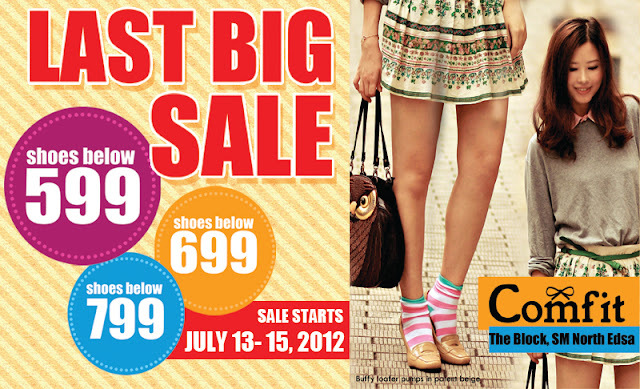 Chicify.com is tying up with miss-match.com.ph. 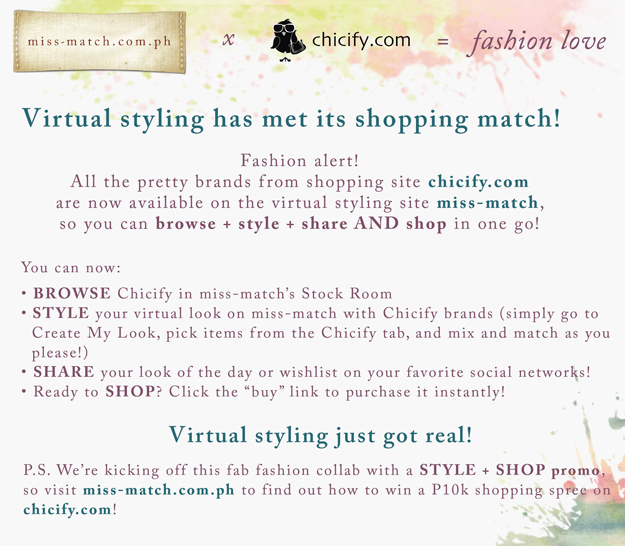 This means that all the items on Chicify will be featured on miss-match, so you can now Style AND Shop in one go! 5.) 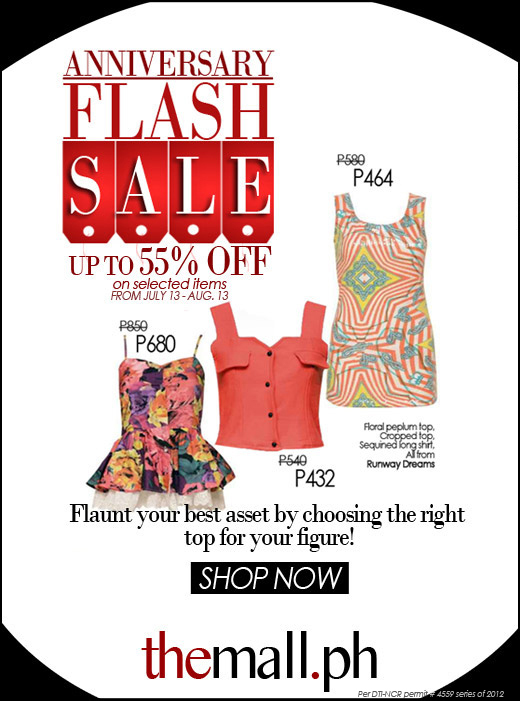 THEMALL.PH Anniversary Flash Sale! 6.) 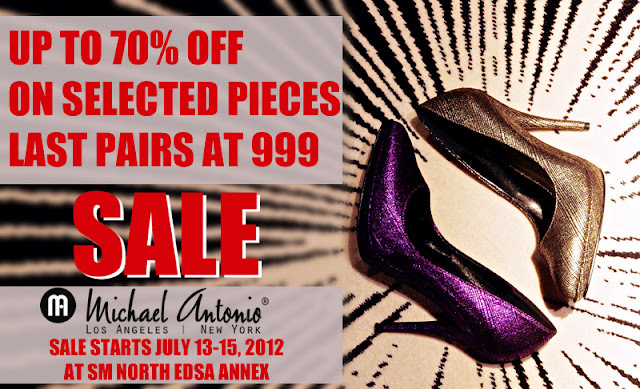 Michael Antonio, Comfit and Hang Ten Great Sale!!! The MEA offers a 10-month program that’s intensively prepared to cover everything that 2-year programs offer. 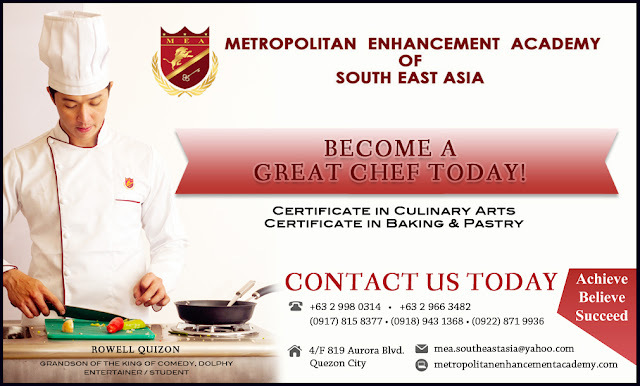 This gives the students the benefit to start early in their culinary career and acquire all knowledge and skills, not to mention, the trainers of the students are definitely world-class. In fact, one of them was a contender to America’s Top Chef. Best of all, the cost of studying is very low and even includes the books, materials and uniforms that the students will need throughout the course. What makes Metropolitan Enhancement Academy different? First and foremost is that MEA offers a 10-month course and 6-days short courses, both that can entirely fit your busy schedule. Most culinary schools offer courses in 8-months, which is considered too short to cover all kinds of cuisine, or a 2-year program, which is considered to be too long if you immediately want to start your culinary career. 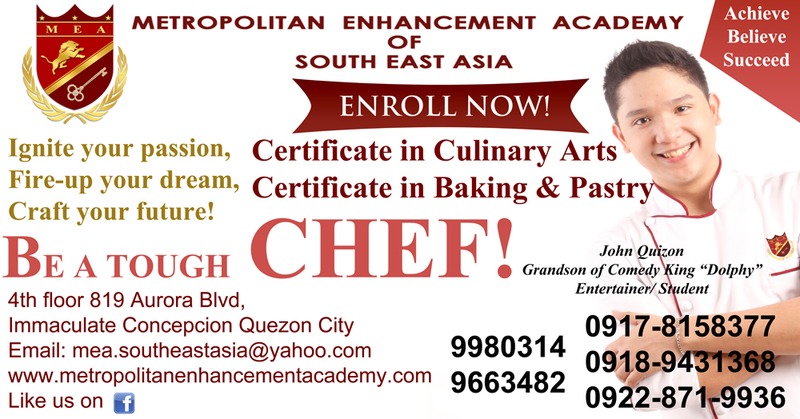 But with MEA, you learn all cuisines and skills within this 10-months intensive course. Second, other culinary schools often do their work in groups due to the lack of kitchen materials available. With MEA, you not only get your own materials but all work/exercises are done individually. This allows you, the student, to master all skills to become the best chef there is. Last but not the least: The very low tuition fee of the school. Normally, culinary schools are expensive and the amount you pay doesn’t even include the books and uniform that the students are going to use. With MEA, the tuition fee already covers that! Hassle free and affordable!